Xiaomi is a company which never backs down from pushing the envelope when it comes to launching smart utility products. Just a couple of days after teasing new smart products, Xiaomi has just released not one but three new smart products which include a smart humidifier, a convector heater, and a car power inverter. Xiaomi has launched these products under its brand Smartmi, a subsidiary of the company which focuses on manufacturing products which as one might say are not so mainstream. That said, Smartmi is not to be confused with Xiaomi’s MiJia platform which is company’s crowd-sourcing platform and focuses more on the experimental products side of things. Smartmi already teased the launched of these new products by releasing a cryptic picture which had many of us guessing. However, now that we know the products, the picture actually becomes easy to understand. With that, let’s take a look at the actual products, shall we? Starting from the left, we can see the picture showing a red box with what seems like heated air coming out of it. The picture represents the smart convection heater that the company launched today. The device heats up your room using the normal convective thermal transfer of heat through the air. Smart Humidifier is the product which is represented by the second red-block in the picture released by Smartmi. As the name suggests, the smart humidifier’s purpose is to maintain the humidity of your room. It does that by utilizing an ultrasonic emitter that nebulizes the water. 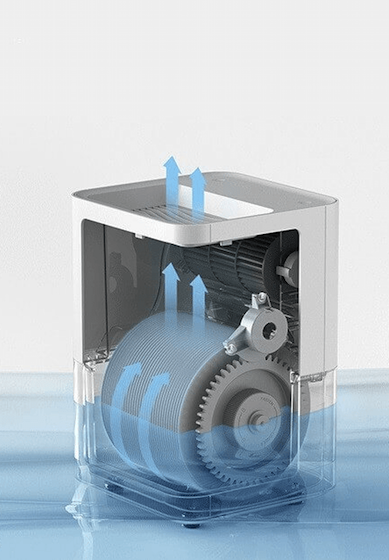 The humidifier takes the nebulized water and disperses it into the atmosphere using an array of 36 evaporation vanes. The humidifier has a tank capacity of 4 liters and can humidify the room with an efficiency of 240 ml/h. The best part is that the humidifier is really quiet and only reaches a low noise level of 34.3 dB. Lastly, it also has its own app which not only allows you to control the humidifier but also provide important information such as temperature and humidity data, and level of residual water. 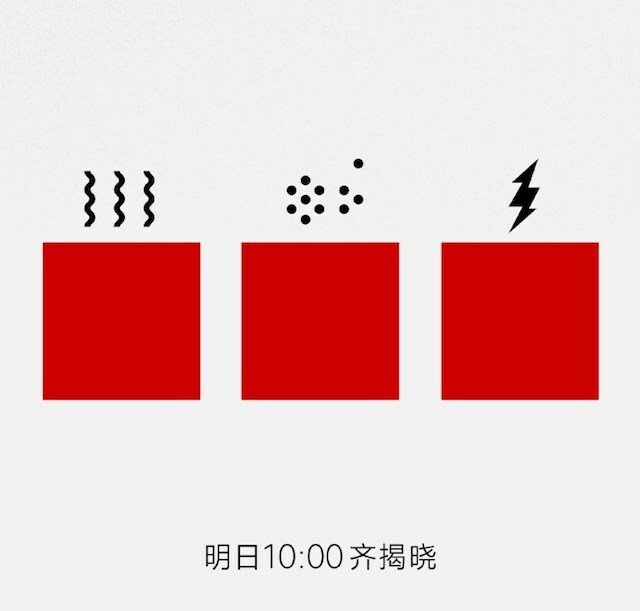 As you can see, the last box of the cryptic picture released by Smartmi a couple of days back shows what seems like a lightning bolt coming out of it. Well, we all know that the lightning bolt is a universal symbol for power, and indeed Smartmi’s third product is a car power inverter. The smart car power inverter comes with a 12V power supply and provides power up to 220 V/AC. 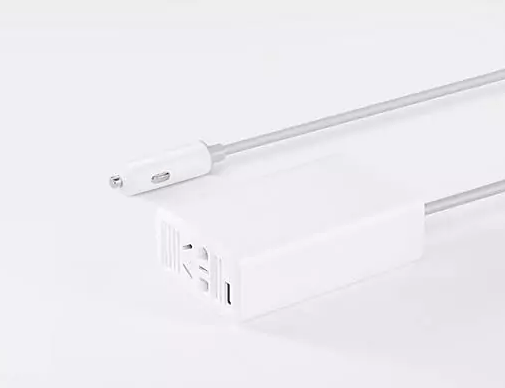 It also supports the Quick Charge 3.0 standard with a 5V output. It also has a smart power delivery system which can identify the device it is connected to and deliver the power accordingly. Hence, whether you are charging a smartphone, a tablet or a laptop, you can be sure that your gadget is receiving exactly the power that it needs. 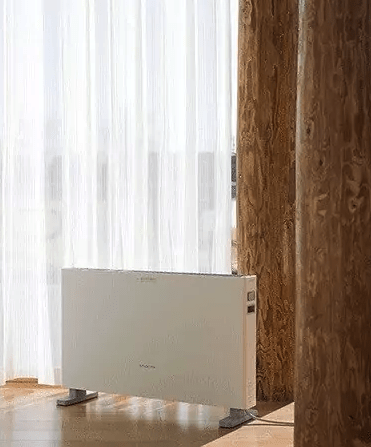 The smart mi convector heater, humidifier and the car power inverter are priced at 269 yuan (~$42), 499 yuan (~$79), and 229 yuan (~$39) respectively. All the products will be available for purchase starting February 9 on Smartmi’s e-commerce platform in China and select markets.